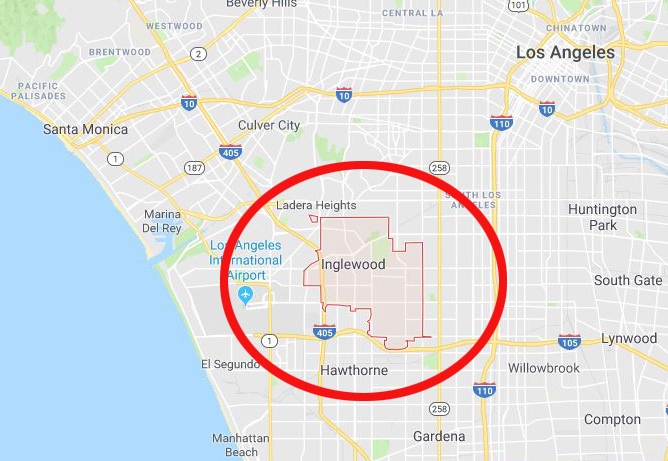 Meet Bike Index's newest partner: Inglewood, California! Bike Index is proud to welcome our newest partner - Inglewood California Police! Inglewood, located in southwestern LA county, has over 110,000 residents. They're conveniently nestled between two other Bike Index partners (Santa Monica PD and LAPD West) and like all the cities we talk to, they have a problem with bike theft. Bike Index - the largest open source, community driven registry of bikes in the US - works with hundreds of partners like bike shops, law enforcement, universities and individual riders to combat bike theft. By combining free bike registration, stolen bike listings, and an advanced stolen bike search engine, Bike Index has registered over 208,000 bikes and recovered over 5,300 stolen bikes. The Bike Index stolen bike recovery stories are a popular monthly read. Inglewood PD has already integrated registration forms into their website, and is now promoting Bike Index to the local Inglewood bike shops and citizens. "We've seen the amazing things that happen when you give a community our registration and search tools," said Bryan Hance, BikeIndex co-founder. "More bikes get protected, more stolen bikes get found, and more bike thieves get arrested. It's really that simple - when police and cities just give the community tools to do this, their citizens can go to great lengths to help keep each other's bikes safe." Bike Index has also spun up a new Twitter account for Inglewood residents to track stolen bikes in their area at @bikeindexinglew. Like our many, many, many, many other city-specific Twitter feeds, this allows local riders to 'opt into' a regularly updated and easily usable feed of stolen bikes in their community. In addition to Inglewood PD, Bike Index also works with many regional partners a number of shops in the LA area, local cycling blogger Bikinginla.com and the previously mentioned law enforcement partners in Santa Monica PD and LAPD West. Do you think Bike Index would be a good fit with your local PD or city? We'd love to hear from you - Drop us a line!